Radical Islam poses a political challenge in the modern world which is like that of no other radical religious movement. Ideologically, it is perceived by Western policy makers as threatening the liberal-democratic ideology by which most states in the West abide and which most other states rhetorically espouse. 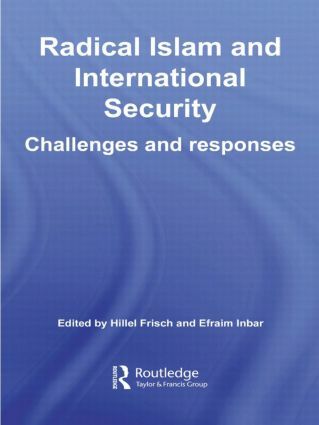 This book serves as a welcome addition to the intellectual and policy debate on the nature of the radical Islam phenomenon and how to respond to it. The collection is divided into three parts: the first part seeks to understand the Islamic challenge in broad comparative and historical terms, while the second part deals with specific regional case studies, which seek to identify patterns of uniformity and variation in radical Islam across a wide swath of terrain. The third part is policy-oriented, suggesting possible responses to the Islamic challenge. The contributors include distinguished researchers from Europe, North America and the Middle East. This book will be of much interest to students of Islamism, political violence, international security and Middle Eastern politics. Deterring those who are already dead?